Before I had the unit I was having weekly manual treatments up at the Lymphoedema clinic at my local hospital. Then I heard about a private practitioner who used the HIVAMAT® 200, I went for several treatments and was impressed by the benefits and saw a real improvement of my Lymphoedema. The therapist informed me that there was a smaller version of the machine she uses. 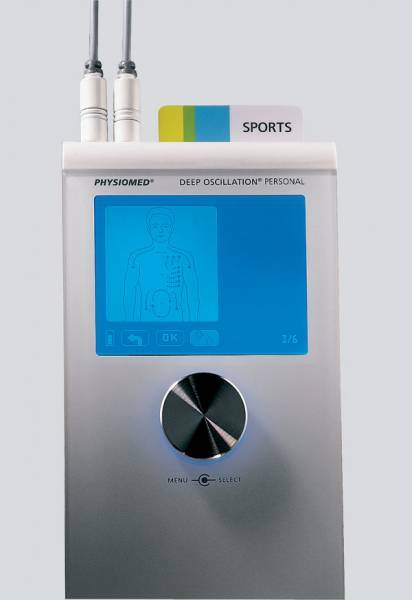 After purchasing the DEEP OSCILLATION® Personal SPORTS unit and using it for several months initially for an hour a day, sometimes in two sessions, I noticed that it was helping to heal the scars that were left by the breast preservation surgery, one of which is almost unnoticeable now. My swelling has been kept at bay, and the pain I suffer is reduced. I have also found my range of movement to be better; hence I only have to use it every other day now. As well as being able to treat myself I also have the option of my partner joining in with my treatment which is very therapeutic and has helped him feel involved. The unit has a good clear display and has background illumination, which is very helpful. It is very easy to use and has clear explanations of each program with diagrams built into the unit, making it accessible at all times.